i'm looking for this church/cemetery. Have you any idea of where it could be? What is your reason for looking? This is odd, I'm sure I know the place. Its distant family on my mothers side mausoleum in the Catholic cemetery Malitbog Southern Leyte. Northtoalaska pleas PE me I would like to talk with you. I did some reverse image searches and could not find it. Not sure I understand your message did the links open for you? There are websites where you can submit a picture and it will search to try and find similar pictures on the internet. I was doing this to try and find some other pictures or websites which listed information about where the church in the picture you posted is located. Cool, I had no idea there was software that could do something like that. The place is a mausoleum not a church, the Molitbog cathedral is about half a click from the cemetery. Wow, that is a nice crib for coffins and corpses! It would be great to hear the story behind your search if it's not too personal! OMG as the kids would say, that's IT. 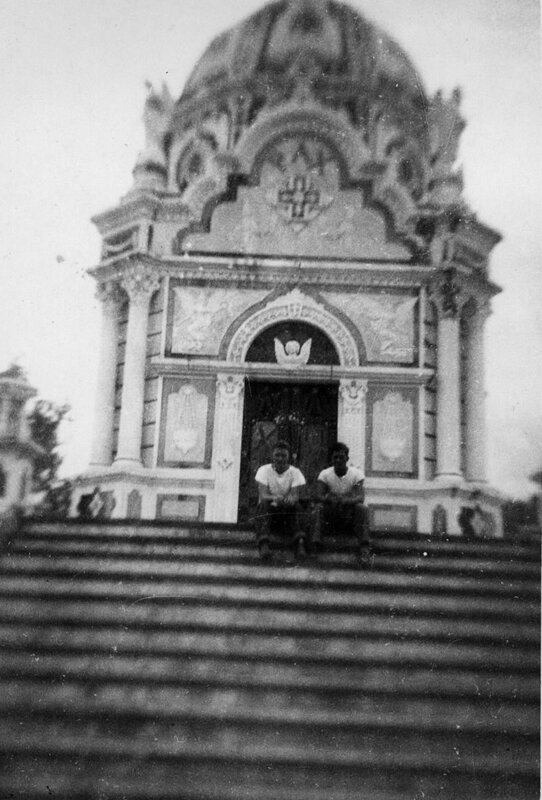 the reason of my interest is that the fellow sitting on the steps is my father. a PT boat sailor during WW2.